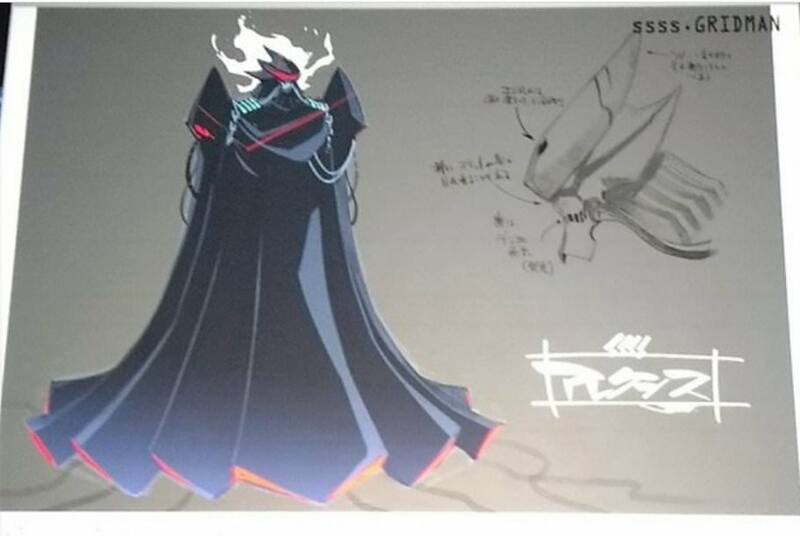 Some character designs, new Kaiju for the series, and surprisingly a gorgeous physical suit of the SSSS Gridman design! This suit was produced for promotional purposes rather than any real use in a live action production, but it looks magnificent anyway. Gridman *cough*Servo*cough* is looking good there. Side note, if this ever gets an English dub, the opening needs to be a cover of the original SSSS theme. 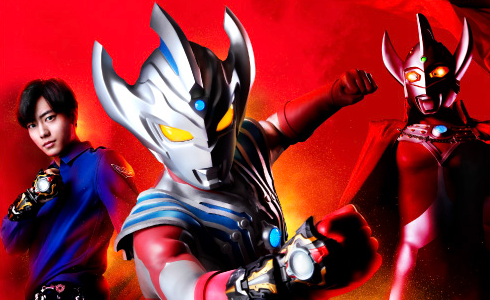 Option #1: "Renewed interest in Gridman with New Anime leads to renewed interest with original series which is viewed and understood differently than it was in the old days which sparks interest in a Live-action Gridman Revival Movie with the promotional suits at the Special Night Event serving as inspiration which leads to a new Super-Human Samurai Revival Movie, possibly after Hasbro gets the rights to the original series and tries to find some of the original actors to reprise their original roles which were originally meant to capitalize on the success of American Tokusatsu thanks to Power Rangers which Hasbro now has the rights to, possibly leading to a Super-Human Samurai vs. Power Rangers Crossover Event that defies logic and echoes what American-Tokusatsu-in-the-Nineties were all about in a nutshell!" Option #2: "They could dub the new Anime and shove it on Toonami!" All this Gridman stuff on the front page makes me happy. 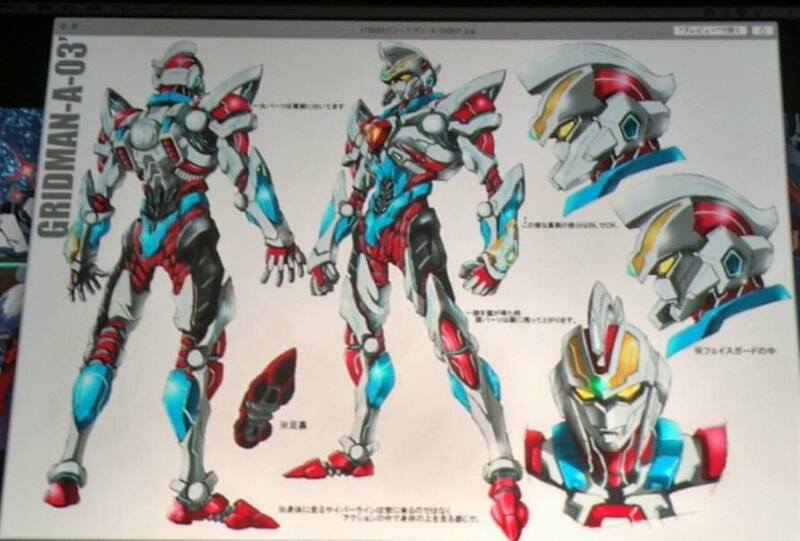 Costume SSSS Gridman looks rad. He has giant feet though! So redhead kid is the host. I assume the three forms are depending on how you stack the support vehicles. Most of the characters from the photos on the top post are mostly TOKUSATSU ALUMNI. Samurai Caliber, the guy with four swords, is voiced by Ryosuke Takahashi, who played the main protagonist Takuto/Lio Sazer in Chosei Kantai Sazer X.
Max, the teal-haired tough guy with a mouthguard, is voiced by Katsuyuki Konishi, the voice of Gosei Knight in Goseiger(and for anime fans, Kamina from Gurren Lagann). Borr is voiced by Aoi Yuuki, the voice of Yurusen from Kamen Rider Ghost. 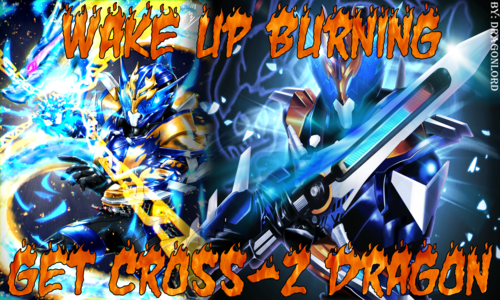 Vitt is voiced by Masaya Matsukaze, who played Shun Namiki/Mega Blue in Denji Sentai Megaranger, Masataka Shiba/17th Shinken Red in Samurai Sentai Shinkenger, and the voice of Endolph from Zyuden Sentai Kyoryuger. And the silver bowlcut-haired boy dubbed "mysterious boy" is voiced by Kenichi Suzumura aka the voice of Ryutaros in Kamen Rider Den-O. Namiko the girl who has a red jacket tied to her waist is voiced by Suzuko Mimori, who voiced RE.M. in Ultraman Geed. Last edited by Sunred; 07-27-2018 at 05:42 AM..